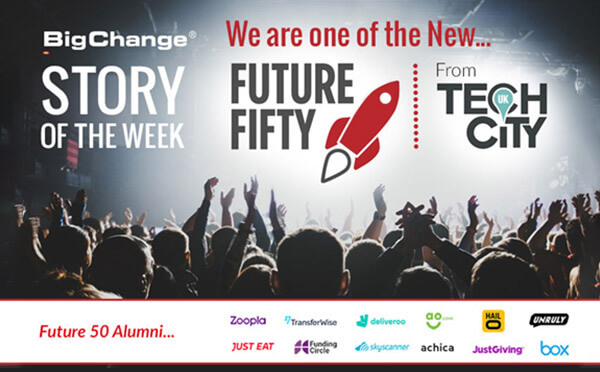 The Future Fifty programme from Tech City UK has chosen a new cohort of 26 late stage companies and we can’t wait to work with them all. Future Fifty gives 26 fast-growing companies immediate access to a valuable peer network; expert-led classes and workshops designed to take their businesses to the next levels; and a higher profile amongst the wider tech ecosystem. Future Fifty companies represent some of the country’s most exciting growth stage tech businesses, while changing the sectors that they operate in fundamentally. The 26 late-stage companies this year are joining a larger network of Future Fifty companies and alumni, now totalling 126. 23 M&A’s of which 7 in the last year, including MatchesFashion.com (acquired $1bn), JustGiving (acquired $120m) and Shazam (acquired $400m). A string of alumni companies that are household names including Just Eat and Zoopla.